Consultancy - How can EarlyEd work with your organisation? Through our consultancy program, EarlyEd is available to provide advice to councils and businesses to support their access and inclusion measures. EarlyEd staff have extensive experience in consultancy in the early childhood intervention and disability sectors in relation to supporting the inclusion of children in playgrounds, childcare / preschool, school and their community. We have consulted with Football Australia, Sport NSW and in local Councils in relation to their Disability Action Plans and strategic plans. We are happy to support our local councils with informal advice and feedback but are also available, for a consultancy fee, to undertake facilitation sessions and larger pieces of consultancy work. EarlyEd has been an expert consultant along with Play for All Australia for Vivid Sydney 2018 for their inclusive play space Tumbalong Lights with Access and Inclusion Partners Cushman & Wakefield. This role involved advising and resourcing the program with volunteer training, visuals, communications and implementation. 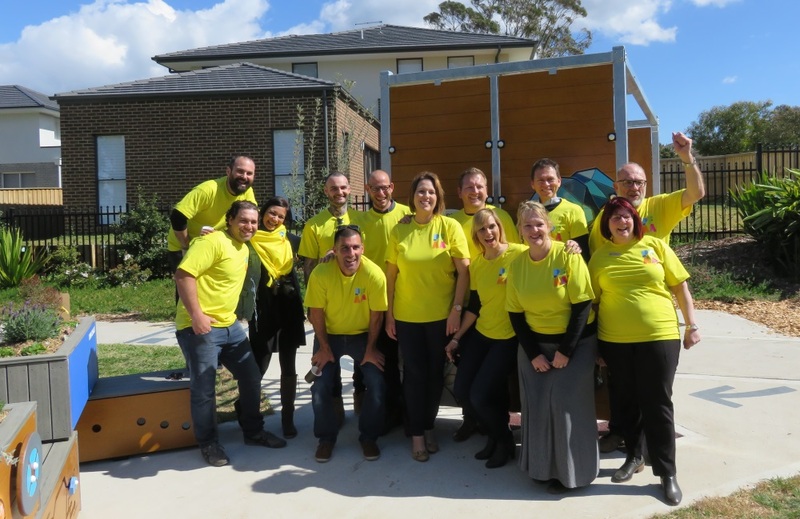 As a Play for All Australia expert consultant EarlyEd has been involved with the Northern Beaches Belrose Inclusive playground Project and the ‘Every One Can Play’ advisory sessions for the new NSW government inclusive playground guidelines. Want to learn more about what EarlyEd can offer your business or council? Contact EarlyEd now to discuss your individual needs. Learn about the range training programs we offer for professionals working in early childhood settings. Find out about the variety of support services, training and assistance available for staff, students and families available in schools. How can you be involved at EarlyEd? Volunteering, partnering, donating, fundraising are among the ways. Click to read more. Programs to help you learn skills to use in your daily life now and for years to come. Speech, behaviour and signing among them.